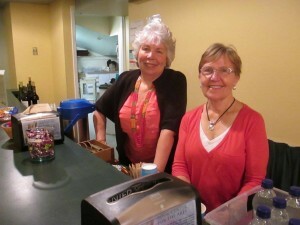 Working behind the lobby concessions counter is one of the positions volunteers fill during intermissions. When you attend a live theater performance there is typically some advanced planning involved, including securing the tickets, allowing time to park, and possibly having a meal beforehand. Maybe you’ve planned a special outfit for a night on the town? Your preparations are nothing compared to the organization and planning it takes for the venue itself to deliver a seamless, and seemingly effortless, night at the theater. 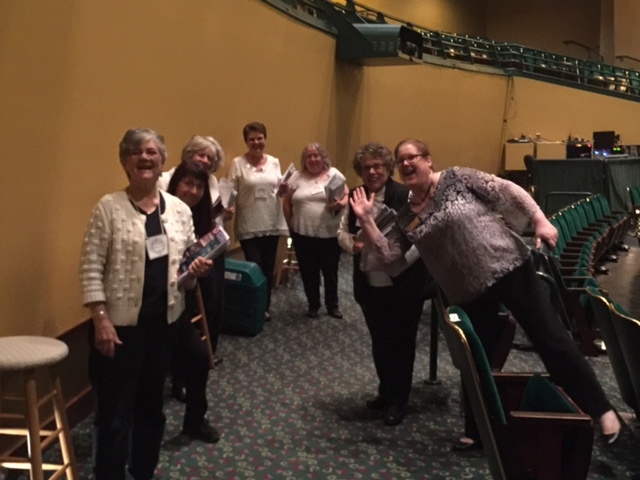 And, at The Washington Center for the Performing Arts, they couldn’t do it without their army of loyal, talented volunteers. Volunteers work together to prepare the theater before a show at The Washington Center. Throughout its history, volunteerism has played a key role at The Washington Center. By keeping paid staff to a minimum, the non-profit organization can fulfill their mission to provide a low-cost venue for performing arts groups within our region, support arts education opportunities, and offer fair and equitable access to the entire community. Volunteers fill the many roles needed to provide a professional level theater experience and The Washington Center has a committed crew ready to go for each show. Volunteer coordinator Stacy Hicks ensures each show is fully staffed from set up crews to concessions to ushers. “Currently we have over 250 volunteers in our system with about 180 of those considered active with four or more hours of service,” she shares. “Several of our volunteers have 300+ hours logged in the past eight-month period.” In addition, Hicks shares that many volunteers have been with The Washington Center for 10, 20, or even 30 years. Dedication isn’t the exception, but the norm for this group. There are a variety of roles outside the front of house jobs. “Volunteers don’t always want to be out in the lobby or at The Washington Center in the evenings and we have plenty of other options and work to be done,” says Hicks. 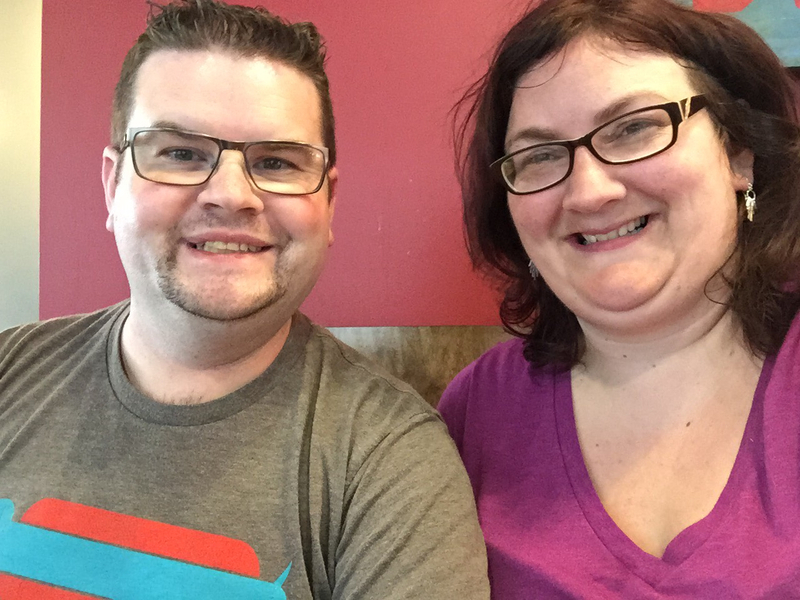 Chad Carpenter, Director of Event Services, and Stacy Hicks, Volunteer Coordinator, work hard to make every performance at The Washington Center seamless and they couldn’t do it without the many volunteers. Volunteer opportunities include supporting the art installations inside The Washington Center lobby or at The Gallery at the Kenneth J Minnaert Center for the Arts,. Volunteers work with the Olympia Downtown Association on joint events such as the Washington Street Block Party. Support is also needed in the office, stuffing ticket envelopes, restocking first aid kits, and other general office support. “We have such a wide variety of options for volunteers. We want to empower people to step up and choose something that is a good fit for them,” explains Hicks. To manage all 250 of these eager helpers, The Washington Center uses a simple online system where volunteers can access schedules and available shifts and sign up online. “Having the online system really puts the volunteer opportunity in their hands and in their control,” Hicks explains. It also saves a ton of time for Hicks during the busy theater season. Why does The Washington Center attract so many volunteers? Well, to start with, you get to see professional entertainment, along with community arts groups, for free. Yes, free. “Volunteers typically get to see about 90-95% of a show,” says Hicks. They might miss the very beginning or ending as they prepare for patrons to enter or exit the lobby, but they aren’t complaining. Volunteers also earn discounts for shows after a certain number of hours are worked. In addition to long-time adult volunteers, many students volunteer at The Washington Center, earning community service hours required by their school. Starting at age 16, anyone who has taken The Washington Center’s volunteer training is eligible to volunteer. Kathleen Heidenreich is a member of that extended family. “I have been retired from education for four years and find that volunteering keeps me connected to the community,” Heidenreich shares. “I love the interaction with the people at The Washington Center – patrons, staff and other volunteers. Of course, the opportunity to experience all The Washington Center has to offer is a wonderful reward.” Heidenreich loves taking tickets and feeling the excitement build as patrons anticipate the performance. 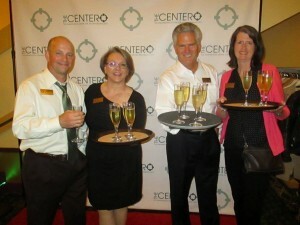 Celebrating and serving together is the norm for dedicated volunteers at The Washington Center for the Performing Arts. The Washington Center has been a downtown hub since its opening in 1985 and volunteers overwhelmingly support its purposeful involvement in creating a better downtown. “The Washington Center brings a variety of entertainment to downtown Olympia – music, theater, comedy, novelty acts – something for everyone,” shares Heidenreich. That variety includes community groups like Masterworks Choral Ensemble, Ballet Northwest, SOGO and many more. The inclusiveness of The Washington Center is what keeps patrons and volunteers alike coming back for more. 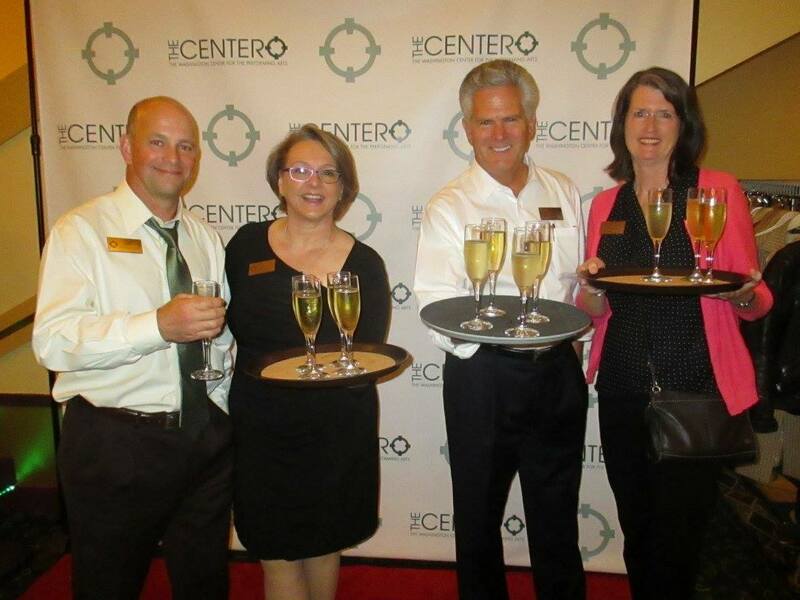 Visit The Washington Center for the Performing Arts volunteer page to learn more.